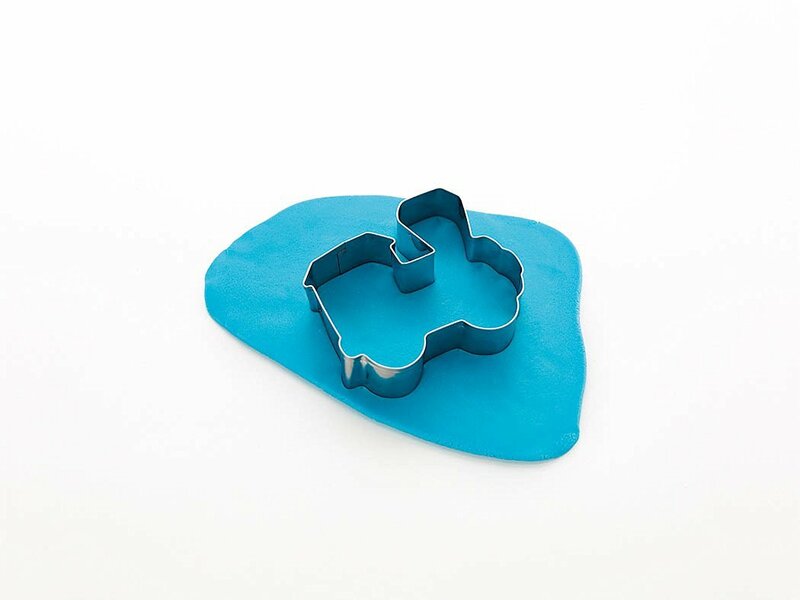 (1) Complete kit, includes 5 cookie cutters, wrapping paper, stickers and recipe booklet. 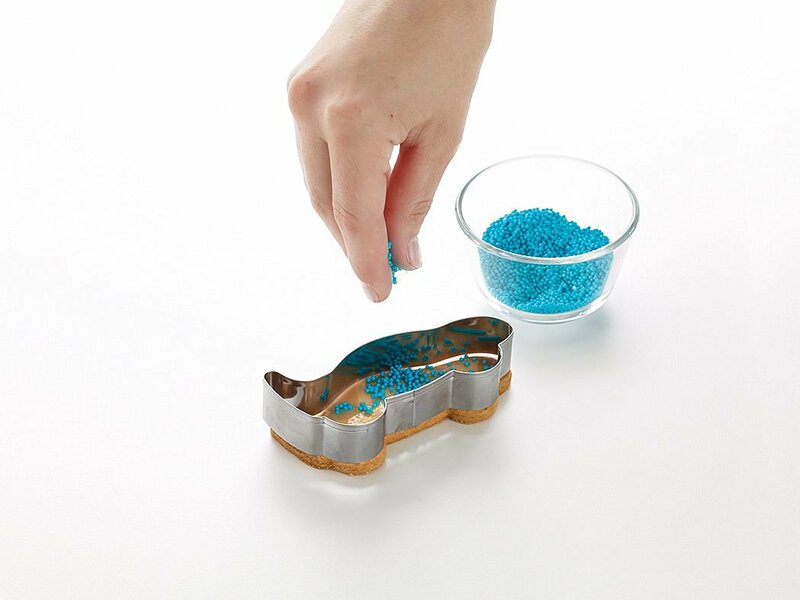 (2) easy cooking recipes and icing techniques, tricks and ideas for the best results. 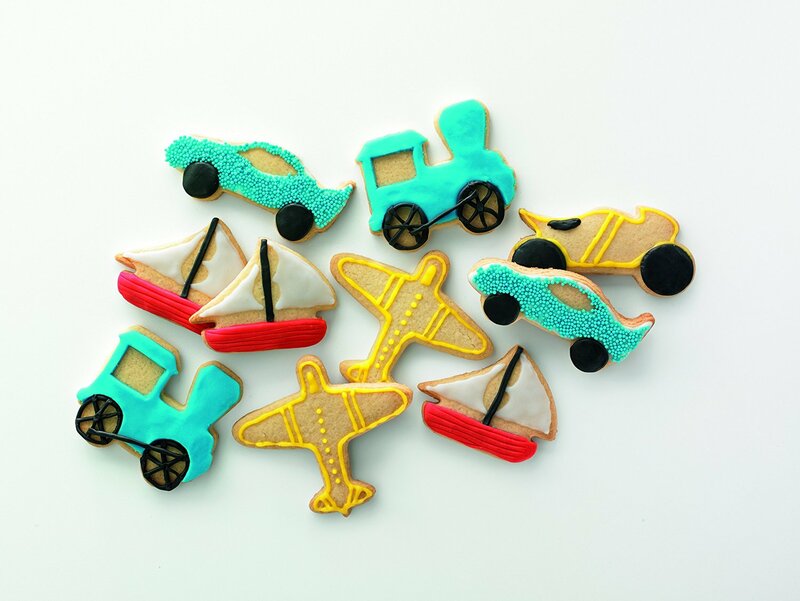 (3) kit comes in a metal box with a Transport theme, it is ideal for storing your cookies once they have been baked. 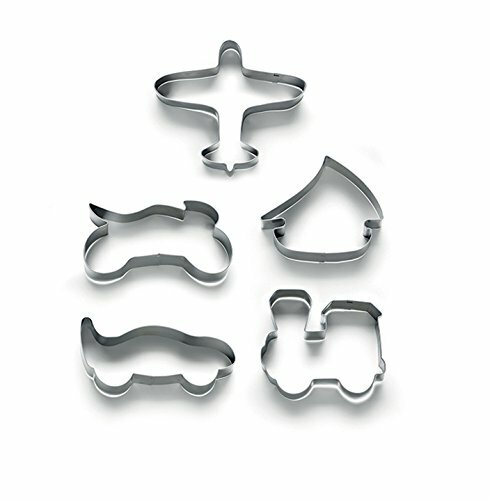 (4) 5 stainless steel cookie cutters to easily cut and remove your Transport theme cookies. 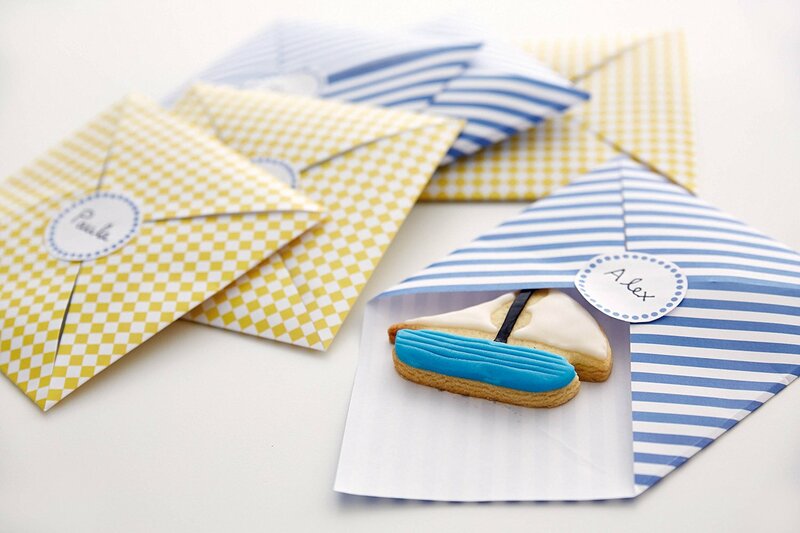 (5) Wrapping Paper to hold your cookies, with personalisbale stickers, perfect for gifts. 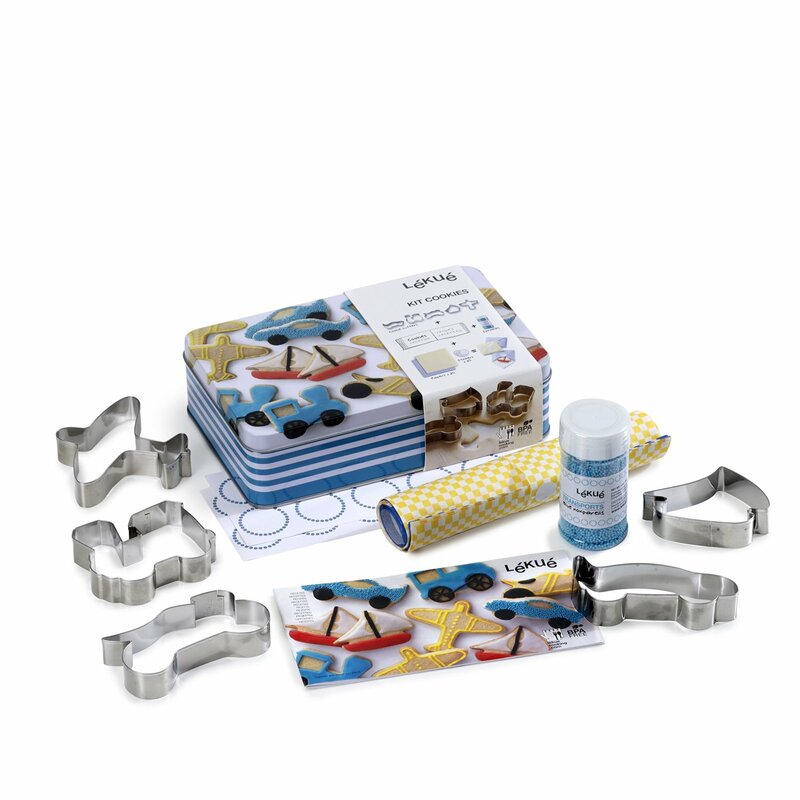 Lekue Transport Cookie Kit includes 5 cookie cutters with a Transport theme, wrapping paper, sprinkles & stickers, easy cooking recipes and icing techniques, tricks and ideas for the best results, kit comes in a metal box with a Transport theme, it is ideal for storing your cookies once they have been baked.